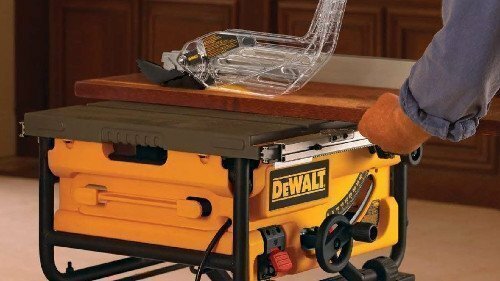 A dado blade is a type of blade that gets mounted onto a table saw, or radial arm saw. It’s used to cut wide grooves in your work to connect two boards together. There are two types of dado blades available – stacked and wobble. 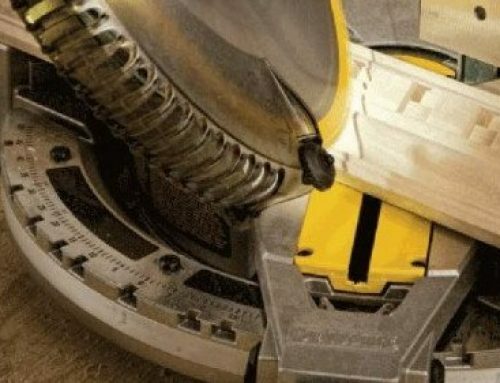 We’re going to discuss stacked dado sets in this article since it’s the more common type of dado blade set, and it’s also much more reliable in producing neat, consistent grooves. That being said, it’s also a lot trickier to set up a stacked dado blade set than a wobble blade. One of these sets contains an inner blade, an outer blade, inside chippers, and shims. First, let’s take a look at what a dado blade set comes with. You should have received two outer blades, two or more inside chippers, and several shims. It’s extremely important that you know how wide each of these components is since they all contribute to the width of the groove. The two outer blades oftentimes referred to as plates, cut the outer parts of the groove and give it a sharp, 90° angle for perfect joints. Each plate is designed to be positioned on either the left or right side of the stack. Never mix them up since it could produce a weird crown shape on the edges of the groove and not the 90° you’re looking for. The inside chippers are the parts of the stack that remove the material in between the outer edges. They can have two teeth, three teeth, or look similar to a many-toothed saw blade. The shims are basically spacers that you place between plates and chippers. The shims increase the width of the groove and also prevent the blades (outer and inside chippers) from grinding against each other. If you’re reading this article, you may be confused as to how dado blades are installed and used. 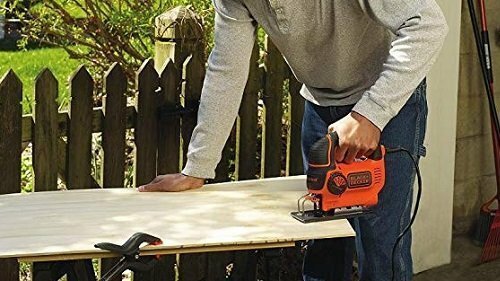 It can be intimidating for some; in fact, many large woodworking shops have a dedicated table saw with a dado blade to specifically make grooved cuts. That’s how much of a hassle it can be. However, there’s really nothing to worry about. 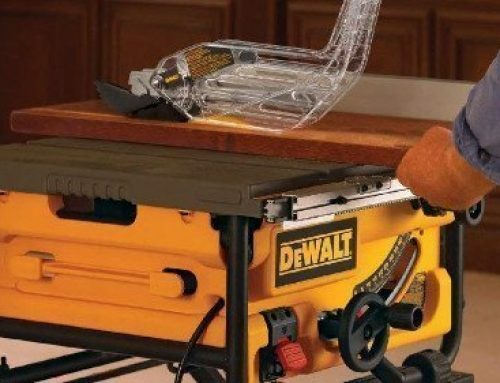 Mounting a dado blade onto your table saw can be a snap if you follow these simple instructions. Note to the reader: your experience may differ depending on your specific table saw model and stacked dado blade set. Before you mount the stack onto your table saw, you first need to determine how much material to remove. This involves taking a look at your workpiece and gauging how the dado stack will work to cut a groove wide enough. Begin by building your stack on a work table along with the workpiece. Begin making the stack by laying one of the plates flat on the table. Keep adding shims and one or more inside chippers onto the stack, all while continuously comparing it to the size of the material you want to cut. 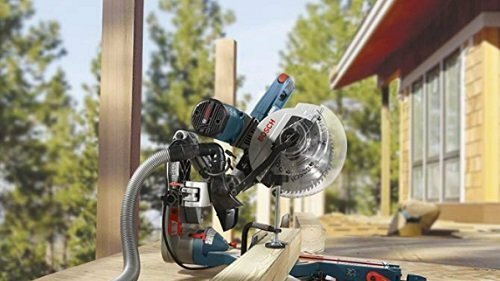 A simple dado stack would be plate-shim-chipper-shim-chipper-shim-plate. Take a look at the manual or writings on the components to get an idea of how thick each of them is. After you’ve measured the stack to cut the correct width out of your material, now it’s time to move the stack to your table saw’s arbor. Begin by placing the left plate through the arbor. Continue placing the components through the arbor based on how you stacked them in the previous step. While moving the stack to the arbor, make sure that the teeth of the plates and chippers are staggered – i.e. the teeth between the blades are not perfectly aligned. If you’re using more than one chipper, the teeth between chippers should also be staggered. The teeth should also be an equal distance apart from each other. Staggering the blades is done to prevent the teeth from making accidental contact with each other while the table saw is running. 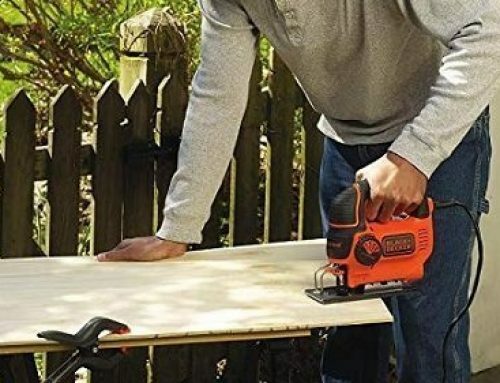 It’ll also help extend the life of your dado stack set since there’s a reduced risk of chipping and damaging your blades. Before pushing your workpiece through the spinning dado blades, we highly recommend using a sacrificial board to gauge how wide the produced groove actually is. You can also use the board to set the depth of the groove to your desired height. 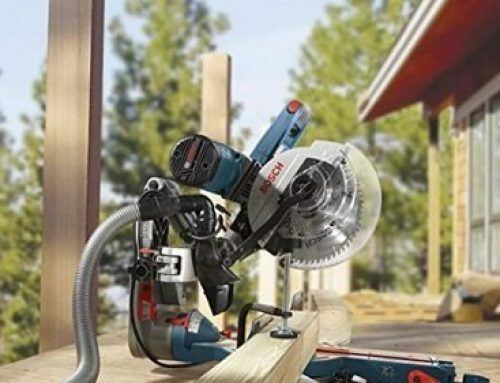 For first-time users, a dado stack may be a bit confusing, especially if you’re doing all of your calculations based on the reported widths of each of the dado blade components. You should allow your calculations room for variance since even the smallest thing can throw your measurement out of whack (arbor, arbor not, dented shims, etc.). When you’re satisfied with the depth and width of the cut, feel free to push your workpiece through the stack. 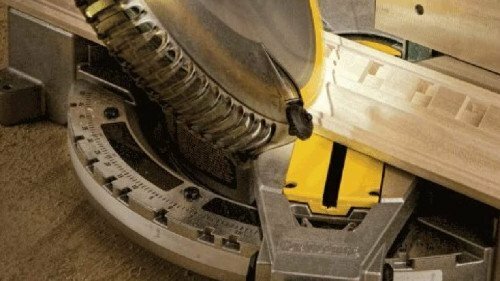 There are several things that you need to pay attention to when it comes to using and storing dado blades. By everything we mean the arbor, arbor nut, throat plate, and the dado components. Go over these parts with a lint-free rag and some WD40. Dirty components can cause the plates and chippers to rust or chip easily. When mounting the stack onto your table saw’s arbor, you might find that the shims like to slide around. This can be problematic because it can ruin your measurements. 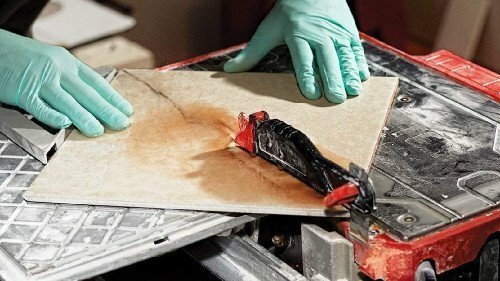 One thing you can do to prevent the shims from sliding around needlessly is by dropping one or two drops of light machine oil onto each face of each shim; this should generate a temporary adhesive to keep the shim in place. Dado blades are designed specifically for making grooves and joints on your workpiece. Most of the time, you won’t need to make grooves deeper than half an inch. Just because the groove is deeper and allows more of the connecting board inside doesn’t mean you’re creating a strong joint. 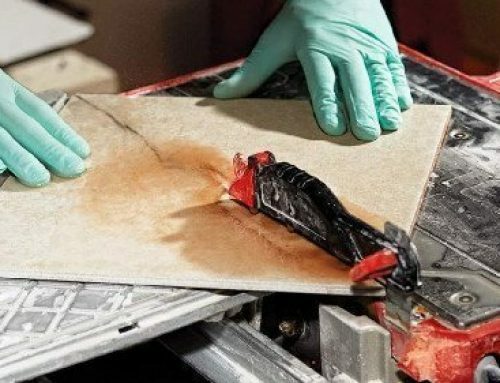 In fact, if you dig too deep, you may end up ruining the structure of the board, the opposite end of the grooved cut to become too weak to support anything. Dado blades can look a little scary. 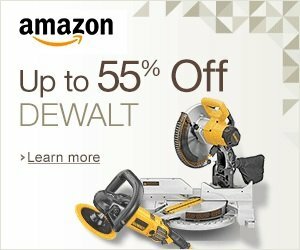 You might be asking yourself, “Why are there so many pieces and how can they fit onto my table saw?” In truth, setting up dado blades – blades used for cutting grooves and joints through your workpieces – is quite simple; as long as you’ve followed our guide, you shouldn’t have any trouble installing and using your dado blades at all.